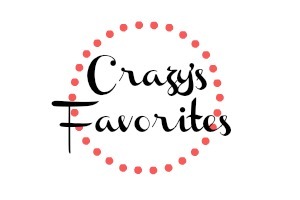 This week's favorites are about books with a 'Self Discovery' theme where the main character uncovers their true selves. In this Lord of the Flies modern-day retelling a group of teenage beauty queens are stranded on a deserted island. While trying to survive they not only uncover secrets about the island, but also about themselves. Libba Bray's writing is addictive and full of wit. Beauty Queens pushes back against society's idea of beauty and how a 'lady' should really behave. Wilkinson breaks all stereotypical barriers in Pink. Ava is in the middle of changing schools and decides to create a new 'self' at her new high school. She doesn't tell any of her new friends about her girlfriend, Chloe and she tries to keep her theater set design friends separate from her more 'popular' friends. While trying to live two lives Ava discovers that you only need to be true to yourself and that feelings don't need to be labeled. Antony John does an incredible job at combining the struggles of being a teen and the power of music in this coming of age story about Piper who is learning to live a life with extensive hearing loss. In Five Flavors of Dumb Piper becomes a manager of a local teen punk band named Dumb. During the book she learns to stick up for herself, deal with jelousy and really uncovers her true identity. This story takes place in a twenty four hour period and is told in two point of views, Lucy and Ed (who also happens to be the anonymous graffiti artist that Lucy is lusting after.) Lucy doesn't know Ed's secret artist persona while he takes her to Shadow's pieces all over the city. Both characters love art and learn to really accept their talents and the future. Amy's father just died and her mother is moving her family across country for a 'new start'. Roger is an old friend from childhood who she hasn't seen in ages and has been appointed to take Amy with him to Connecticut. Set against some of the most beautiful places in America we follow Amy and Roger as they discover the beauty of moving on and living in the moment. I loved Amy and Rogers Epic Detour. I haven't read any of the other books on your list but I have all of them except pink on my tbr list. I don't think i've heard of that one but I will definitely go check it out. This is a fun idea for a feature! 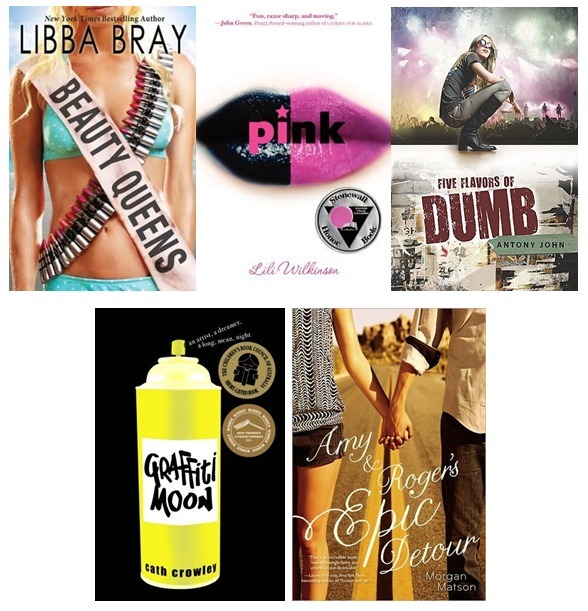 I've read Beauty Queens, and seeing your post reminded me of how much I wanted to read Pink after it won a Stonewall Honor. I need to catch up! I really must try Beauty Queens. I really liked Graffiti Moon and Five Flavors. Amy & Roger has been on my list since it came out. I'm not sure I'll ever read Beauty Queens (although I do love that cover) and I'm unfamiliar with Pink. I'll have to check out that one. Great list!